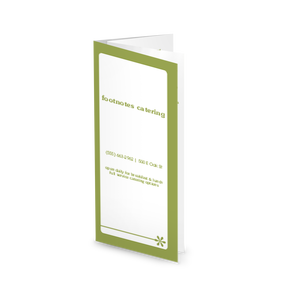 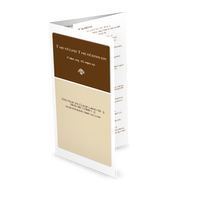 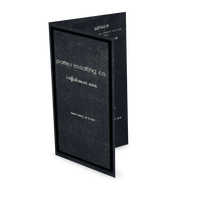 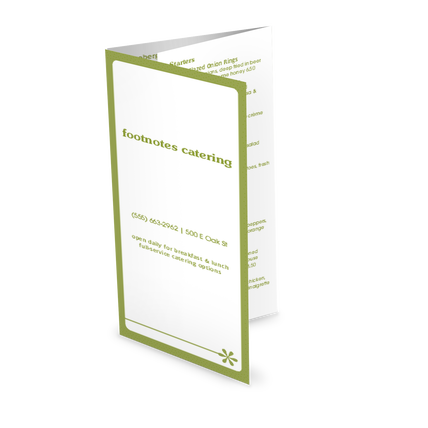 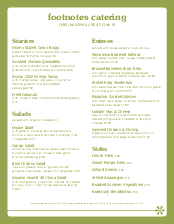 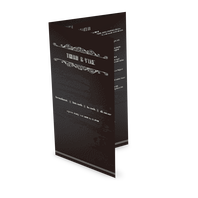 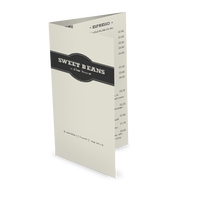 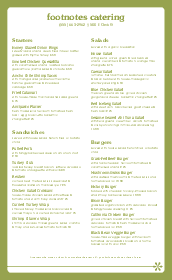 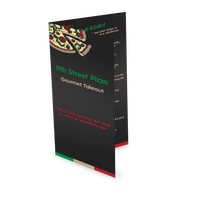 The Catering Box Lunch trifold menu is a modern green and white takeout template in letter size. 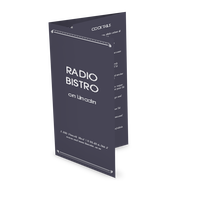 (More sizes available!) 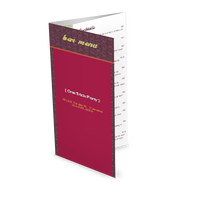 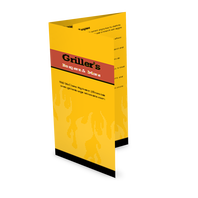 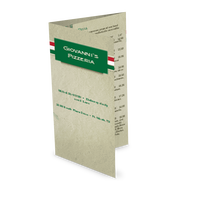 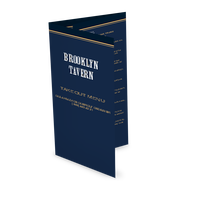 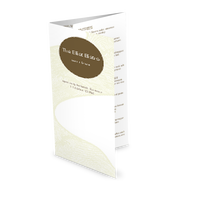 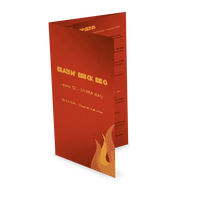 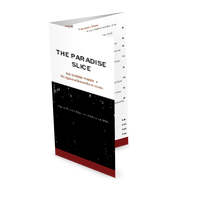 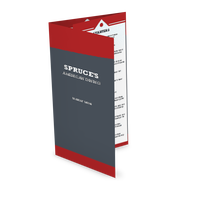 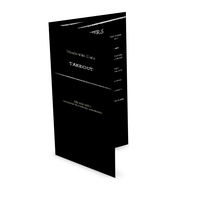 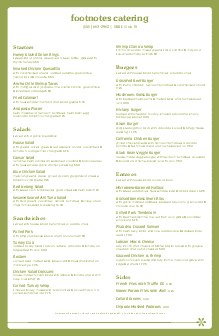 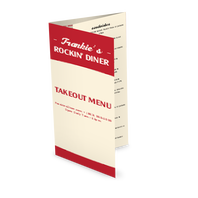 Customize with your menu items and graphics to print front and back. 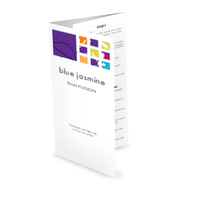 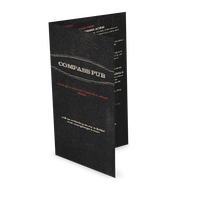 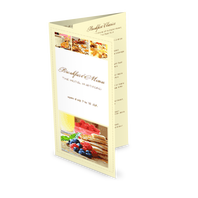 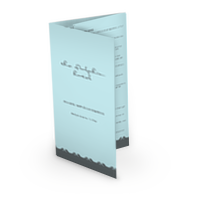 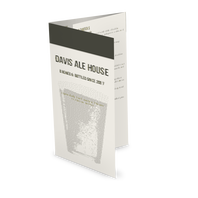 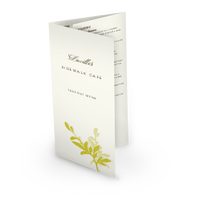 Printed menus arrive folded and ready to hand out to your customers.